While few of us enjoy “networking,” we all crave authentic conversations with peers, clients, and key stakeholders. The pace of change is accelerating, and we need peer networks more than ever to understand what others are thinking and doing. The most successful executives often have the best networks—to share insights, provide support, and pursue common interests. But strong peer interactions rarely happen on their own. Time, trust, and low expectations too often get in the way. Building Bridges urges executives to demand more. 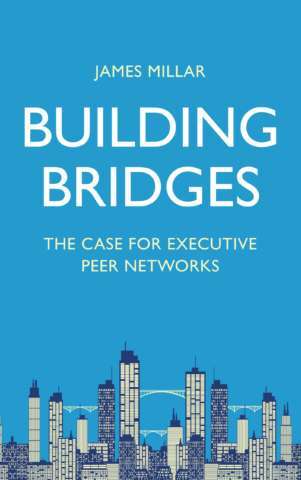 It describes the characteristics of the most valuable peer networks, where executives meet regularly for conversations they can’t have anywhere else. And it offers a set of design principles for those who want to create and sustain these vital professional resources. Because, in a transactional world, we all need to belong. Available in hardcover, paperback, and eBook formats through major online retailers, including Amazon and BN.com. Also available as an audiobook through Audible, Apple iBooks, and iTunes.